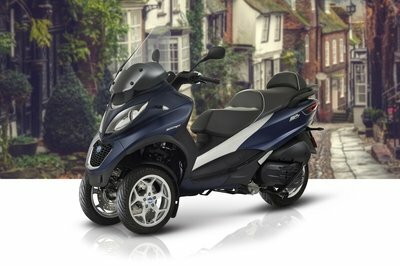 The 2013 Vespa 946 is a small scooter that was especially developed to help you move with agility around the city. 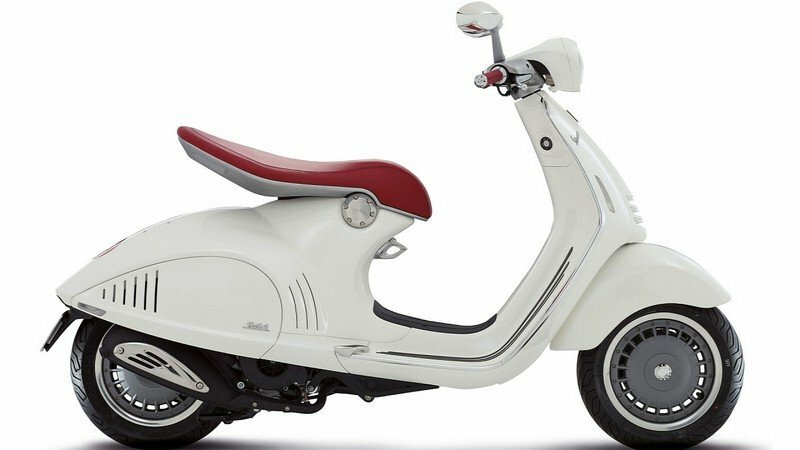 As far as style is concerned, the Vespa 946 draws inspiration from the first Vespa prototype of 1946, featuring a retro design combined with a few contemporary lines. 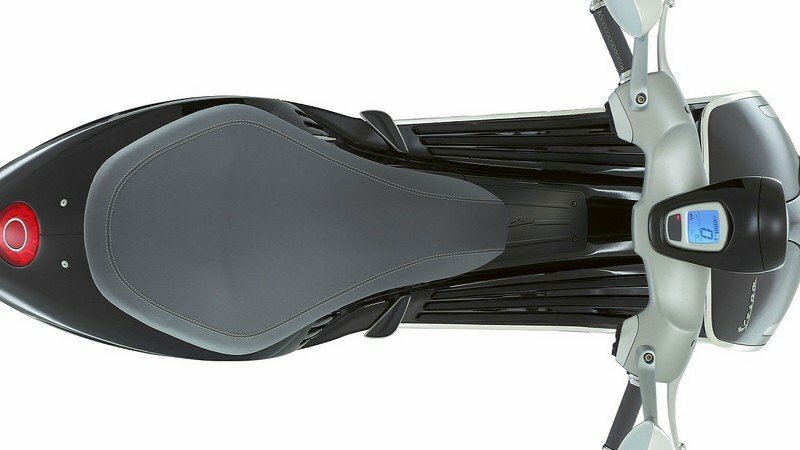 The scooter’s distinctive element is its body which is technically a single steel and aluminium component which also has a supporting function. 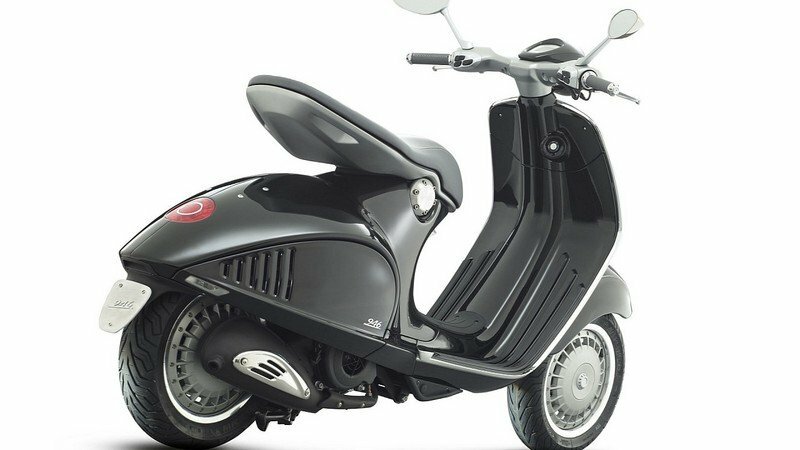 Thanks to its modern body and the intensive use of aluminum, the scooter has a very low curb weight which is combined with an upgraded 125cc, 3 valve, 4 stroke, air cooled engine to offer an impressive fuel consumption rated at 155 mpg. 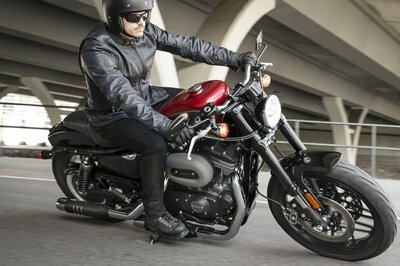 In terms of power the 2013 engine rewards you with a maximum output of 11 hp - a 7.1 percent power increase compared to the previous generation. 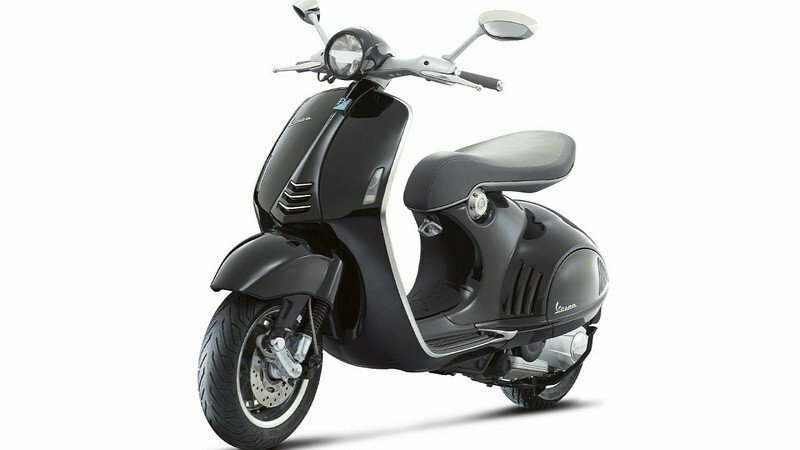 Hit the jump for more information on the 2013 Vespa 946. 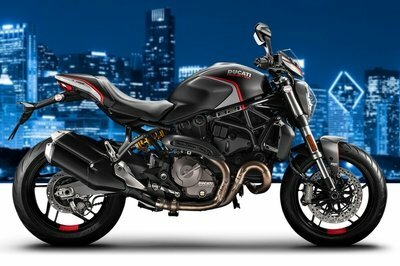 3 valve, 4 stroke, air cooled engine. 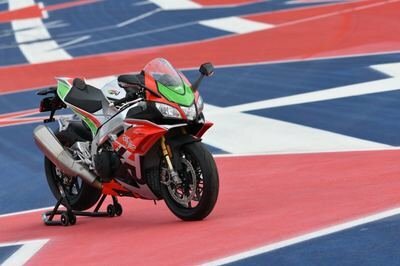 It does so by directly referring to its original product, the MP6 prototype, first embryo of the Vespa from which, in the spring of 1946, the world’s most famous scooter was born, an Italian and unsurpassed icon of style and creativity. Distilling the purest essence of those traits which marked forever the aesthetics of individual mobility, forcefully entering our everyday life and enhancing the lines which made it famous, the Pontedera Style Centre projects the Vespa in a new generation in which references and projections, tradition and innovation, seamlessly merge. 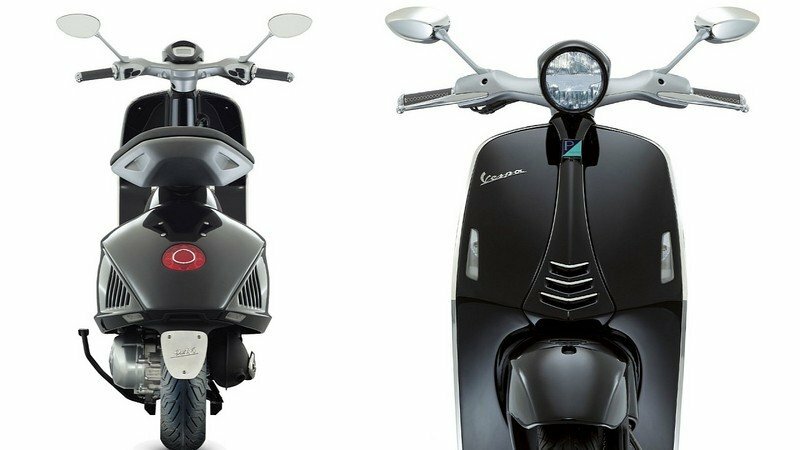 Once again Vespa is ahead of its time, projecting itself into a future marked by style and technology at the service of a better quality of life. object of distinction in the urban and metropolitan landscape. 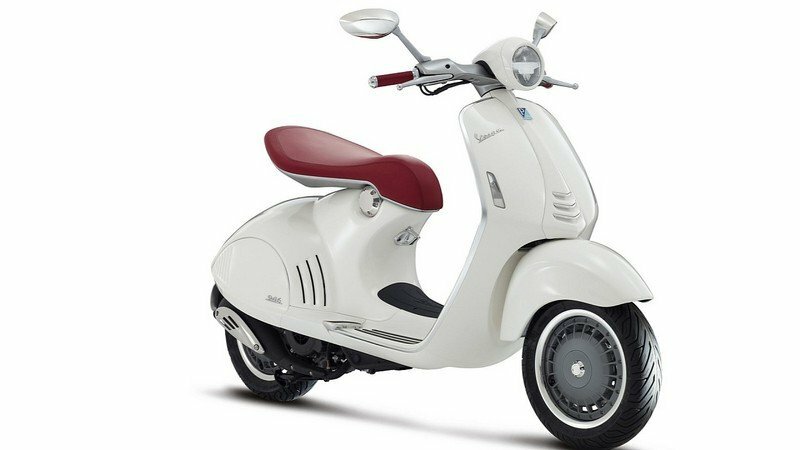 Vespa 946 is a unique and evocative object which embodies, and exhibits with class, all the values of style and elegance which derive from the nobility of its origin. 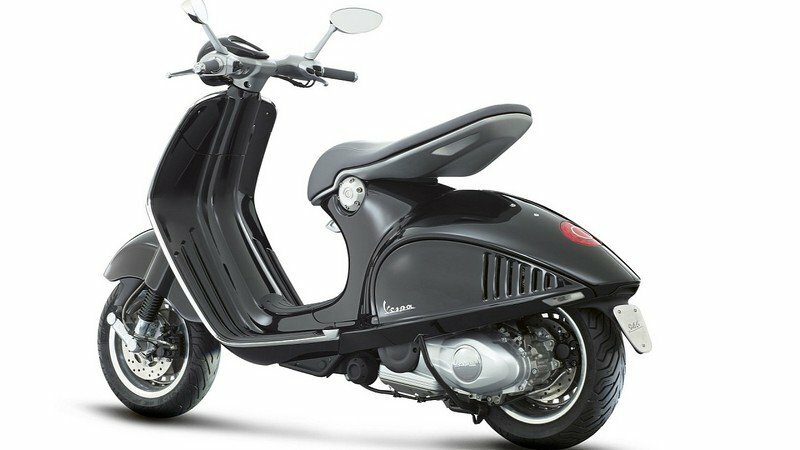 Vespa 946 expresses the maximum value possible in the scooter world and projects Vespa in the elite of luxury brands. 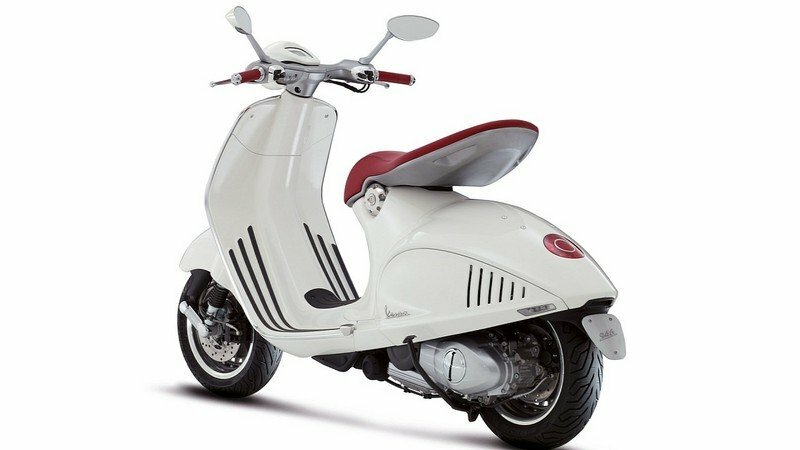 Directly inspired by the Mp6, the first Vespa prototype of 1946, the 946 is a decisive discontinuity with the shapes of the current - and successful - Vespa families. Traditionally divided into "small body" (the current LX and S series) and "large body" (represented by the GTS and GTV) Vespa now sees the birth of an entirely new vehicle which, while making reference to the classical lines, breaks with the constant evolution of the design with a sort of fascinating "back to the future". The single cylinder 125 cc 4 stroke, 3 valve, air cooled engine with electronic injection represents Piaggio Group’s state of the art technology in scooter engines. Engine Type 3 valve, 4 stroke, air cooled engine.